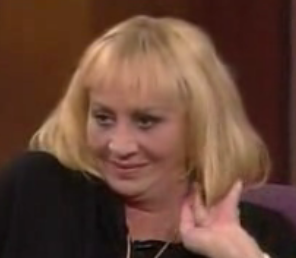 No encyclopedia of loons, cranks, crackpots and morons will be complete without including the legendary Sylvia Browne. Browne is a psychic and leads the Society of Novus Spiritus, based around the teachings of her channeled "spiritual guide" Francine. She’s also a devout Christian, and advocates both reincarnation and the afterlife (and, obviously, the possibility of talking to the dead). Brought to fame through multiple television appearances - notably including regular appearances on the Montel Williams Show, where she notoriously failed to pass even a single half-serious test of her abilities (in other words, she employs the old conjuring trick of cold reading). A video of one of her blunders on Montel's show can be seen here. She has managed to build a decent following and pretty widespread fame. She has also attempted to claim James Randi’s million-dollar challenge, but after having made the initial testing arrangements nothing came of the attempt. A much more thorough exposé here (in particular here). Browne doesn’t like these sites. Claims, among other things, to have had a chat with the late Michael Jackson, but her specialty seems to be telling suffering parents where their lost children are, usually being dead wrong (several bad scandals here). Diagnosis: Endlessly moronic kook; fraudster, but presumably unaware of it. Has a large group of followers. This entry also indicts her son, Christopher Dufresne, who is a psychic "of powers equal to his mom's" (a claim which is surely correct). This loon affects me personally, my mom buys her books and her nonsense. I tried to talk with her about the evidence against Sylvia in particular and PSI in general, but she has her own reasons for wanting to believe, and disabusing her of these notions is a task I'm simply not up to! When I did try to talk with my mom about it, I approached the conversation from the "what's the harm" perspective. Her point of view is if she wants to believe in something false, and it gives her hope and comfort, why can't I let it alone. The harm in allowing people you love to give attention, time, and money to pseudoscience is manifold. These resources can better be spent learning about the majesty in nature and how much we've learned about how the world really works. In the small scope of her dealings with others she strengthens the legitimacy of these silly claims in virtue of her belief. She is an articulate and intelligent woman, and others hear what she says and are lead to believe that Brown must have *something* going on, otherwise why wouldn't believe. In addition, when things go wrong in life she starts praying to guardian angels and seeking advice from psychics. She becomes a spectator to her own problems, hoping the fates come around to her side instead of actively working to better her circumstances. Sylvia, and those of her ilk, whether conscious or not of the scam they are pulling, are a great detriment towards an enlightened and educated society. Their con is as old one, and difficult to dispel. You are generous when you say she is 'presumably unaware of it'. I think she knows exactly what she is doing, she's not crazy or deluded and neither is her son, they are shrewd and exploitative business people. I often hear it said that there's no harm in believing this sort of nonsense even if it's false. But as you say, there are many harms - notably the harm of becoming a spectator to one's own life. I also just find it really sad when intelligent people who should know better are taken in by this sort of con. Even when it does no direct harm, profiting by bringing false comfort to people by pretending to talk to their dead loved ones is a sick and twisted game. On that point I am with you; I'm inclined to think that folks like Sylvia Browne know exactly what they're up to. Sylvia Browne’s 2012 predictions turn out to have been just about as good and accurate as Pat Robertson’s. Sylvia Browne has been picking up some recent, well-deserved criticism. The criticism is apt. Sylvia Browne is evil. Pol Pot might have intended the best for his people, but his intentions don't really matter. She ... died. Despite the fact that, according to her own predictions, she shouldn't die until she was 88.